Barbara Lasic studied English literature and history at the Université Denis Diderot in Paris, and history of art at the University of Manchester where, in 2006, she gained a PhD on the collecting of eighteenth-century French decorative arts in Britain, 1789-1914. Until recently, Barbara worked at the Victoria & Albert Museum as part of the curatorial team involved in the redevelopment of the Europe: 1600-1800 galleries. Before joining the V&A, Barbara held positions at the Wellcome Trust and the National Maritime Museum, Greenwich. Barbara has published on the subject of art collecting, the history of taste, and museum architecture. 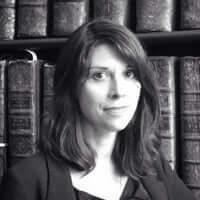 Her research interests include the formation of museums, the private and institutional collecting and display of French art, and, more broadly, nineteenth and early twentieth-century cultures of collecting. More specifically, she is currently investigating the production and consumption of Russeries in eighteenth-century France, the passage of the Camondo collections from the private to the public sphere, and the activities of the 20th-century dealer, curator and connoisseur Edouard Jonas. ’Albertopolis: the Development of South Kensington and the Exhibition Road Cultural Quarter’, 26 November 2011 – 29 April 2012. ‘So Noble a Confection: Producing and Consuming Chocolate, 1600-1800’, Sackler Centre, Victoria and Albert Museum, London, October 2010 – September 2011. ‘Gargoyles and Shadows: Gothic Architecture and Nineteenth-Century Photography’, 7 January – 16 May 2010. ‘The Dance of Death from Holbein to Rowlandson’, March – April 2003. Barbara Lasic (ed. ), Museums as Houses, Houses as Museums (forthcoming, 2017). “Ethnicity”, in P. McNeil (ed. ), A Cultural History of Fashion Vol.4: The Age of Enlightenment (1650-1800) (London: Bloomsbury Academic, 2016). Read more in our Publication of the week section (6 February 2017). “‘Something Old, Something Borrowed’: Loan Exhibitions at the South Kensington Museum, 1853-1872”, in M. Westgarth (ed. ), Dealers and Collectors: the Market for Decorative Art, 1815-1945 (Manchester University Press, forthcoming). “‘Un besoin qui seul nous dérobe au present’: collecting and (re) constructing the Ancien Régime in 19th-century France and Britain”, in P. Rosenberg (ed. ), Acteurs, enjeux, formes et pratiques de la collection de 1850 à nos jours (Paris: Nicolas Chaudin, forthcoming). “Madame de Pompadour”, “The Serilly Cabinet”, “The Art of Writing” in Elizabeth Miller & Hilary Young (eds), The Arts of Living, (London: V&A Publishing, 2015). Read more in our Publication of the week section (16 October 2015). “‘The next best thing’: acquiring and displaying replicas at the South Kensington Museum, 1854-1899”, in M. Aldrich (ed. ), Authenticating Art Works: Studies in the Art Object (London: Lund Humphries, 2012). “Memorialized”, in Luca Basso et al. (eds), Interior Wor[l]ds (Turin: Allemandi University Press, 2010), 143-148. “Eclectic Visions and Elevated Ideals: Museums and Galleries in nineteenth-century Britain”, in G. Brandwood (ed. ), Living, Leisure and Law: Eight Building Types in England, 1800-1914 (London: Spire Books, 2010). “Going East: the Hertford-Wallace Collection at Bethnal Green, 1872-1875”, Journal of the History of Collections 26.2 (2014), 249-261. “‘Dignity and Graciousness’: Mewès and Davis and the creation of ‘tous les Louis’ period rooms”, Furniture History XLVIII (2012). “Architecture et Photographie au 19ème siècle”, Art et Métiers du Livre 276 (January 2010), 44-53. “Splendid Patriotism: Richard Wallace and the Construction of the Wallace Collection”, Journal of the History of Collections 21.2 (November 2009), 173-182. “A Display of Opulence. Alfred de Rothschild and the Visual Recording of Halton House”, Furniture History 40 (2004). “‘Une exquise expression artistique’: Spectacularising the Rococo at the 1935 Exhibition of Eighteenth-Century French Art in Copenhagen”, The Rococo in Scandinavia Conference, Palais Thott, Copenhagen, 30 May 2017. More information. “Dangerous Liaisons: The Art of Make-Up in the Eighteenth Century”, The Wellcome Trust, London, 24 March 2016. More information. “Crafty Tales: Aesop’s Fables and the Late Nineteenth-Century British Interior”, Annual Conference of the Société Française des Etudes Victoriennes et Edouardiennes, Université Paris Diderot, Paris, 4-5 February 2016. “De Bons Citoyens: John and Josephine Bowes’ collecting of French revolutionary ephemera”, History of Collecting and Displays Seminar Series, Institute of Historical Research, Senate House, London, 2 February 2015. “The evolution and dissemination of draped ‘tent rooms’ in France, 1770-1840”, Decorative Arts and Phenomenology Conference, Kellogg College, University of Oxford, 4 December 2014 (invited speaker). “Une élégante simplicité: un portrait de Rose Bertin par Joseph Boze”, Rose Bertin Conference, Archives Nationales, Hôtel de Soubise, Paris, 17 December 2013 (invited speaker). “The Minutoli collection of photographs in the Victoria and Albert Museum”, Festival de l’Histoire de l’Art, Chateau de Fontainebleau, 1-3 June 2012 (invited speaker). “Displacing and reviving the Louis in early twentieth-century plutocratic interiors”, 9th European Social Science History Conference, Glasgow, 11-14 April 2012. “Imagined Ethnographies: Jean-Baptiste Le Prince’s Russeries and the consumption of Russia in eighteenth-century France”, Fashioning the Early Modern Conference, Stockholm University, 30 November – 1 December 2011 (invited speaker). “Princely pursuits: the collecting practices of the Camondo Family”, History of Collecting and Displays Seminars Series, Institute of Historical Research, London, 27 June 2011. “Recycling and Re-fashioning the Grand-Siècle in Paris and London, 1750-1830”, Recycling Waste and Luxury Conference, Université Paris Diderot, Paris, 22-23 June 2010. “‘A Most Perfect Museum’: The Foundation of the Wallace Collection, 1871–1900”, Museums and Biographies Conference, National Gallery, London, 11-12 September 2009. “Boudoirs or shrines? Late nineteenth-century interiors and the cult of the French Ancien Régime”, Living in the Past, The Modern Interiors Research Centre’s 6th annual conference, Kingston University, 14-15 May 2009. “‘Retour vers le Bel-Age’: Alfred de Rothschild and the collecting of eighteenth-century French decorative arts”, Society of Dix-Neuvièmistes Annual Conference, University of Bristol, 27-29 March 2009. “‘Vendu à des Anglois’: The Collecting of 18th-century French decorative arts, 1789-1830”, Networks of Design, Design History Society Annual Conference, University of Falmouth, 3-6 September 2008.